What a wonderful place! The noise and crowds and heavy smells of Bangkok were far behind us. Mae Hong Son (The City of Three Mists) is the Capital City of one of the northern provinces of Thailand, and at the same time the westernmost, nestled in a deep valley hemmed in by the high mountain ranges of the Shan Hills. It is in the most mountainous province in Thailand. We checked into the Sang Tong Huts on the outskirts of the city (it hardly seemed like a Capitol City to me). I had my own “hut” which was made of bamboo and had a thatched roof. The bed was a mattress on the raised floor and included bedding and pillows. A little table with a cloth, an electric lamp, and fresh flowers sat in one corner. What luxury! There was a porch on the front that looked into the jungle-like setting of trees and colourful, flowering plants, and mountains off in the distance. I strained to catch a view of the melodic birds that sang from high up in the tree-tops, but they were well hidden. I thought I was in Paradise. Because we chose the less expensive huts (250 baht per night, or $9.45 CAD) we had a short walk along a wooden path to the toilets and showers. In the mornings I had to keep a close eye on where I was stepping to avoid the very large snails that were about, but the squat toilets and shower rooms were separate and very clean. The showers were individual stalls that were partly open on one side, away from the path and view of others, and a large water barrel that was filled from a tap. A large dipper was provided for dumping the invigoratingly cold water over one’s self. Although this was more difficult early in the morning, because the weather was hot and humid I found myself taking more than one shower a day, and the afternoon and evening ones were refreshing. This time I had my own towels, which could be hung on the porch railing to dry. A large open common room welcomed guests with light refreshments and seating for reading books or the magazines that were there, or for just relaxing by the centre campfire. I enjoyed a bowl of granola with lots of fruit and yogourt for breakfast each morning. The first day we walked into town to poke around the shops and tried out different restaurants for lunch and dinner. Because I have an intolerance for spicy (i.e. chili) foods, it was difficult for me to find things that I could eat, which was disappointing; Thai dishes all look and smell so delicious. It isn’t heartburn or ulcers that are the problem. It’s in my throat; I choke. Rice and stir-fried veggies became my staples. The rainy season was just coming to an end, but it was best to not leave the hut for the day without a trusty rain poncho in your backpack. We’d often emerge from a shop into a torrential downpour that might last five minutes or half an hour. During those times, we caught up on emails at a Cyber Café. Sarah and Kendrick had planned a trek into the mountains for us, so that evening we met with our guide, Chakaphan, with whom they’d trekked before. While we sat with him in the common area, we were soon joined by other guests who had also arrived that day – one couple from Singapore; another also from Singapore, but who had been teaching in the Czech Republic for the past twelve years and had just retired; and a young fellow from Germany. All of them spoke English and it was great chatting with them. Our three-day trek that was supposed to begin the next day was postponed because of the heavy rains. The sun came out and we spent the day doing more exploring of the city and its many temples. In the evening, though, the rain poured down again, sending us into our huts for a rest. It was still raining hard at 10:00 pm, but our guide was optimistic about the weather for the next day so it was agreed that we would strike out at 8:30 in the morning. He warned us that we’d be wading through thigh-high rivers and streams and I felt a little apprehensive, unsure that the thick soled sandals and runners that I’d packed were the proper foot wear. Tune in tomorrow to see how that went. This entry was posted in Mind Traveling, Motorcycling, Travel and tagged Mae Hong Son, Sang Tong Huts, Thailand. Bookmark the permalink. I hope you’re gathering these stories. I think you might have a great travel book, or magazine series here. 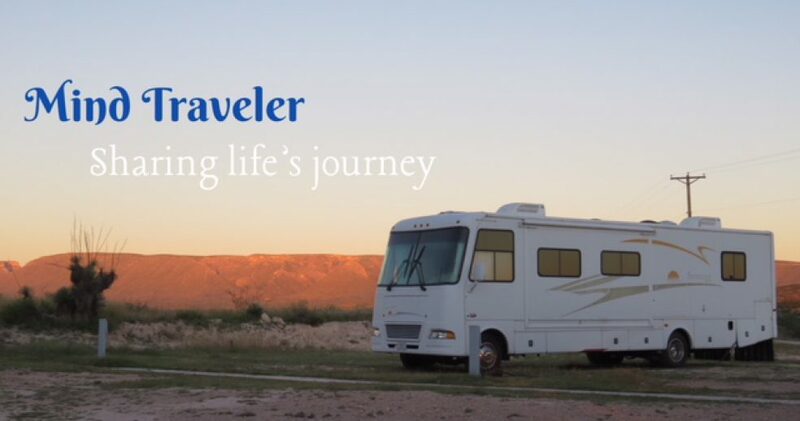 Thanks for sharing the journey, Christine. I am gathering these stories, but I wonder if they are too out of date to be of interest to magazines. I wish I could go and do it all again, taking better notes and better pictures. But I’m having fun reliving it.